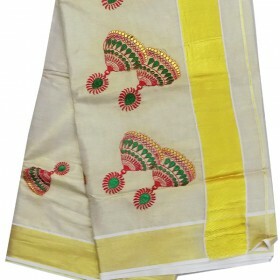 Modern party wear and trendy blend of a beautiful Cream and gold combination kasavu saree with jhumk.. 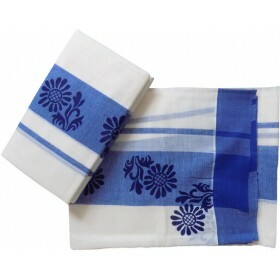 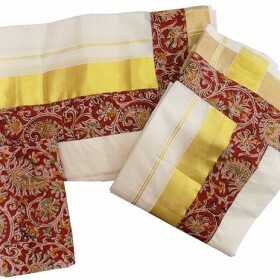 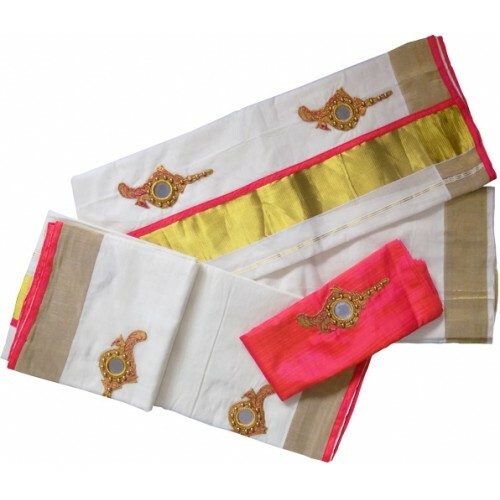 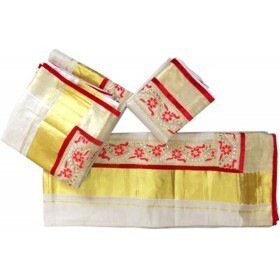 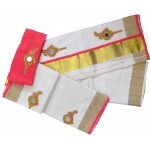 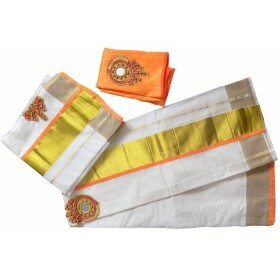 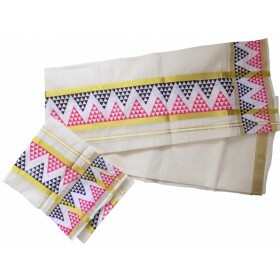 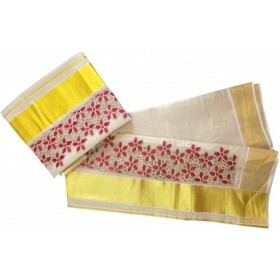 Specially designed kerala kasavu settu mundu with golden and rich Kalamkari design at.. 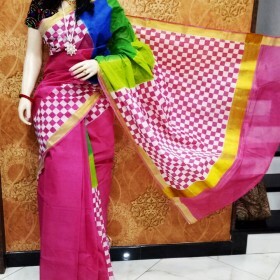 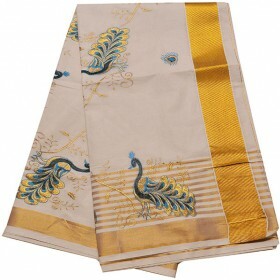 Awesome design of the peacock embroidery with golden stripes on the pallu and bottom of the body and.. Traditional settu mundu with golden kasavu vertically in that Simple design works inside the golden ..
Purchase high-Quality Kerala Tissue Settu Mundu Blouse Valkannadi Design from malabar Shopping, its 100% cotton with high-quality tissue material, attractive for public functions and temple visit. 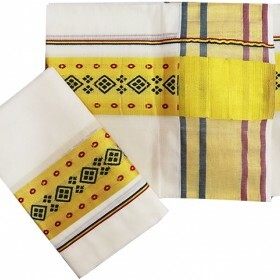 blouse material with val kannadi also attached.